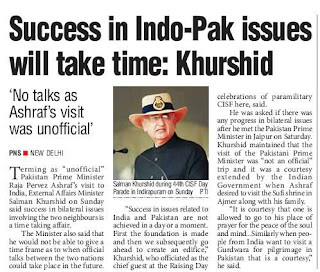 Refusing to set a timeline on the possible resumption of bilateral talks with Pakistan, External Affairs Minister Salman Khurshid today said success in issues involving the two neighbours cannot be achieved in a day, suggesting a long haul. A day after he hosted lunch in Jaipur for Pakistan Prime Minister Raja Pervez Ashraf during a private visit to offer prayers at the shrine of Sufi saint Khwaja Moinuddin Chisti, the minister reiterated that it was “not an official” trip for which the government extended courtesy. However, he did stress that success on issues involving India and Pakistan cannot be achieved in a day, suggesting that a firm foundation will have to be laid by both sides to move forward. The minister made the statement at Ghaziabad on the sidelines of the Central Industrial Security Force (CISF) Raising Day parade at Indirapuram today. Responding to questions on possible timelines for bilateral talks, Khurshid said he would not be able to give a timeframe. Since the visit of then External Affairs Minister SM Krishna to Islamabad last September, progress in Indo-Pak talks hit a roadblock after the incident of mutilation of bodies of two Indian soldiers on the Line of Control in Jammu and Kashmir. 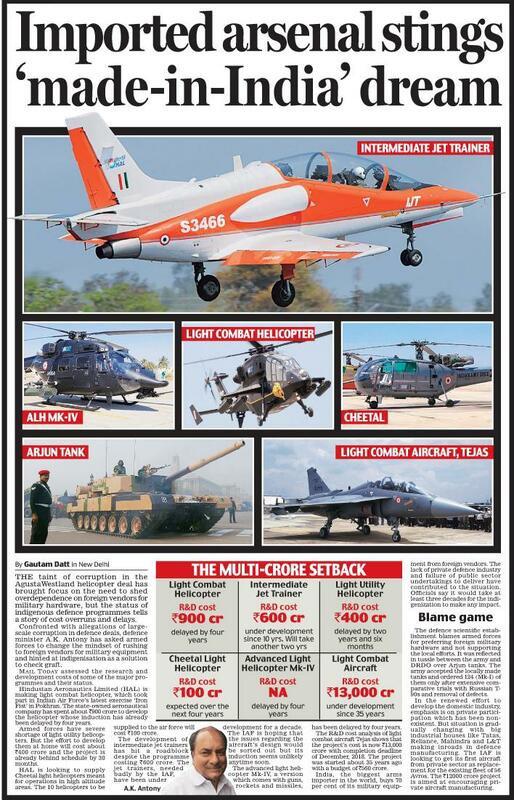 India's defense budget for 2013-14 has been pegged at around $40 billion. This is a modest increase of 5 percent, compared to 17 percent from the year before. Within the Indian context, it means that India's defense expenditure for 2013-14 will be at the lowest point in three decades. 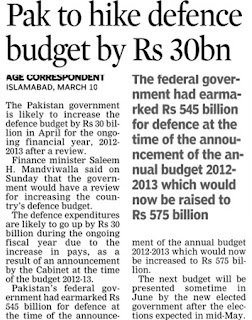 This should be enough only to meet the expenditure on account of pay and allowances and maintenance of the weapons systems. What does this mean for India's defense readiness? How has the Indian Ministry of Defense (MoD) responded to this? Well, the MoD doesn't seem to be overly bothered about it. Sample the on-record reaction of Indian Defense Minister A.K. Antony: "Taking into account the difficult economic situation both at home and abroad, the Finance Minister has done a good job. The measures that he has outlined for the rejuvenation of the economy while ensuring inclusive growth are indeed commendable. Factoring the current economic scenario, he has been fair to the Defense Sector also by increasing the budget and assuring that should there be any urgent need in future the same would be provided." But is it really so? 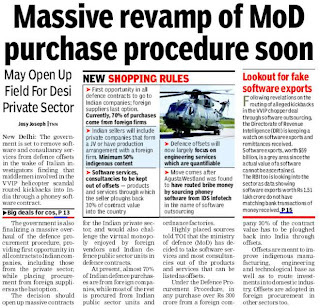 This will have a cascading effect on the Indian defense modernization program. 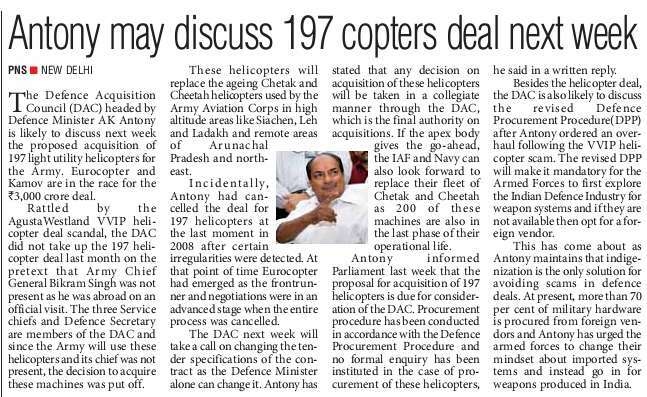 The most immediate effect will be that the Indian armed forces will not be able to get big-ticket acquisitions. The Indian boat has already been rocked by numerous allegations of kickbacks. Worse, the MoD has already announced a cut to its acquisitions budget. 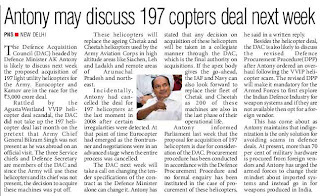 Therefore, the Indian armed forces would be able to acquire only a few of its urgently required items. 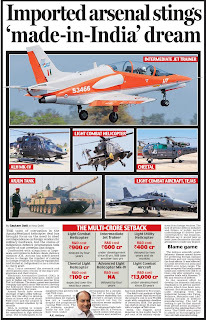 This would definitely slam the brakes on India's defense modernization program that had been aiming high after the defense budget of last year (2012-13) which was pegged at $38 billion, an impressive increase of 17 percent year-on-year. 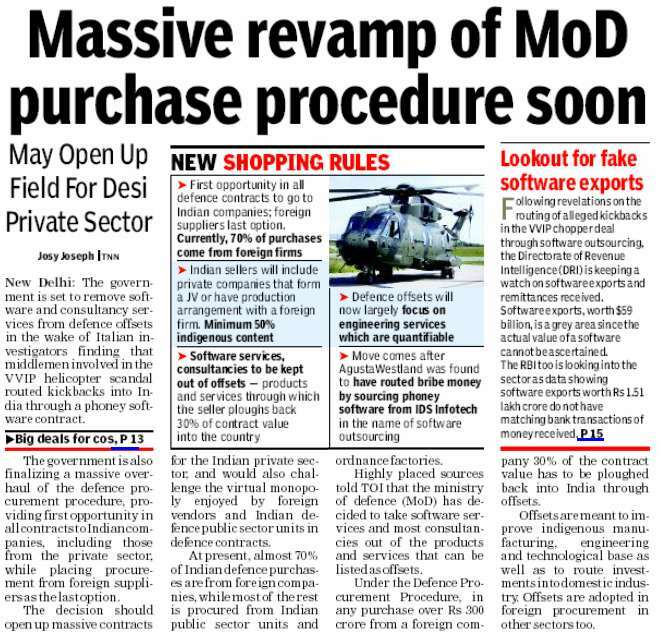 The Indian armed forces, army, navy and air force all included, have a long shopping list and have been pushing for an urgent modernization drive. The MoD has given the green light to a large number of capital intensive muscle-building projects and purchase of armaments from foreign vendors. However, the Ministry of Finance has halted this drive due to the financial crunch. One of the important army projects stalled in the ministry corridors is China-specific. The army wants to raise two more strike corps at the Line of Actual Control with China on the northeastern border. The case of the Indian Navy is even queerer. A couple of months back, navy chief Admiral D.K. Joshi had said that the navy was prepared to meet any challenge in the South China Sea. One expected a sizable increase in the navy's budget against this backdrop. 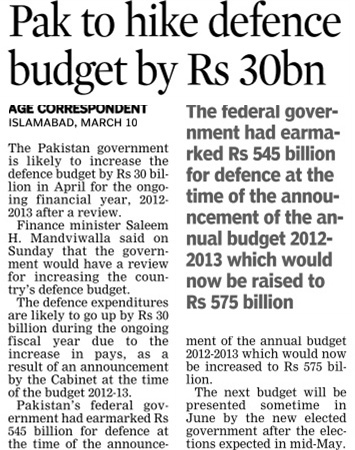 On the contrary, navy's budget has actually been decreased from last year's $2.28 billion to $2.22 billion this year. If seen in the context of the tumbling Indian rupee, India's defense expenditure remains virtually stagnant. Moreover, in terms of the GDP ratio also the just announced defense budget comprises only 1.79 percent as compared to 1.90 percent last year. However, the ruling coalition has its own compulsions, largely political. The government does not find it politically prudent to raise the defense expenditure and consciously decided to ignore the recommendation of the parliamentary standing committee on defense to peg the defense budget to between 2.5 percent and 3 percent of the GDP. This is because the next general elections are due by May 2014 and the possibility of holding elections a few months ahead of schedule cannot be ruled out. The government needs funds to push big ticket schemes in the social sector in this election year. The votaries of development-oriented politics would be happy. It is time to think of the hungry man on the street and push for inclusive growth. Finance Minister P. Chidambaram did not have too many options in his quiver. Indian Army Chief Bikram Singh on Saturday issued a stern warning to Pakistan by saying that Indian soldiers won’t remain quiet if the neighbouring country violated the ceasefire at LoC. “If they [Pakistani troops] violate ceasefire, hum bhi churian pehan ke nahin baithe hain [we are not wearing bangles]. Our men also fire. This work is done at the tactical level and it is happening,” Army chief asserted. He said the Indian Army was giving a “befitting” reply to any ceasefire violations by Pakistani troops.However, Bikram Singh said that he didn’t want to comment on Pakistani Prime Minister Pervaiz Ashraf’s Ajmer visit. “Our soldiers are not sitting idle. We won’t remain quiet if they violate the ceasefire. This keeps on happening at the ground. The battalion commanders are the best people to reply,” Singh replied when asked about the situation at the Line of Control. However, he said the Indian Army had already conveyed its concern to the centre on the issue of ceasefire violations, beheading of an Indian soldier and brutal killing of another soldier by Pakistani troops in January. 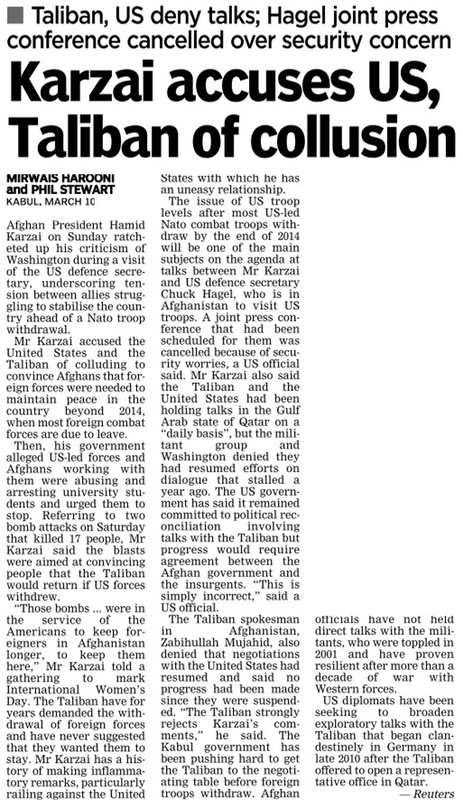 “At that time, we showed our concern.We have shown our emotions [to the Centre],” the Army Chief,said. “This action [reacting to ceasefire violations] is seen at the lower level and not decided at the Army Chief’s level,”he pointed out. Earlier, addressing the gathering, Singh asked ex-servicemen to remain apolitical having been part of the disciplined force. “I want that our ex-servicemen associations should not get politicised. We need to be disciplined. I am seeing that ex-servicemen associations are becoming political. It should not happen. We are secular and it is important, he asserted. Earlier in January, India’s army chief threatened to retaliate against Pakistan for the killing of two soldiers in fighting near the border of the disputed region of Kashmir, saying he had asked his commanders there to be aggressive in the face of provocation. Srinagar, Mar 10: Day after Army said its services can be utilized for law and order duties in the Valley, political parties in Jammu and Kashmir have warned against, overt or covert, deployment of the armed forces to tackle public protests, saying any such move would send wrong signal among the people. Legal experts said deployment of Army for law and order duties is purely within the jurisdiction of the state governments as it falls in state list. On Saturday, Valley-based General Officer Commanding (15 Corps) Lt General Om Prakash asserted that a ‘counter-agitation strategy’ involving Army, police and CRPF can be put in place to deal with the prevailing situation. “We have a counter-agitation strategy, which is a joint strategy involving Army, police, paramilitary forces and intelligence agencies. That has been in place several times. We will go by that strategy. The strategy has worked well. We will be able to control the situation with that,” the GOC had told reporters on Saturday. Reacting to the statement of GOC, Additional General Secretary of National Conference and MLA Hazratbal, Dr Mustafa Kamaal said these remarks are aimed at “showing the state government in poor light”. “The Army has all along tried its best to dabble in civilian matters and it is in the interest of peace and normalcy that the Army restricts its role to its mandate in JK,” Kamaal said. Claiming that dealing with law and order situation is prerogative of the states, Kamaal said their (Army’s) failure to seal borders is the root cause of infiltration in the Valley. “They have not been able to seal the borders as a result of which we continue to have attempts of infiltration and exfiltration,” he said. Opposition PDP chief spokesman Naeem Akthar termed the “offer of Army as a direct snub to Chief Minister Omar Abdullah”. “This is a slap on face of Omar Abdullah,” Akthar said, adding this also brings to fore the “contradictions” of addressing problems differently by New Delhi. “Even the Naxal challenge, which was described by the Prime Minister Manmohan Singh as number one threat to the country was not dealt by Army,” he said. 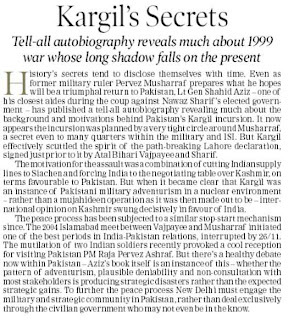 Akthar said Army has always been part of “anger management” in the Valley. “In 2010 when things were out of the state government’s control, it is the common perception that Army finally bailed-out Omar Abdullah,” he added. 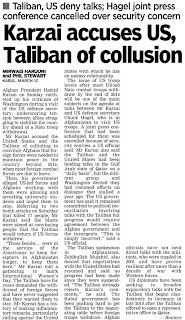 Echoing the same views, state Secretary of Communist Party of India (Marxist) and MLA Kulgam MY Tarigami trashed the idea of deployment of Army for containing “internal disturbance” in the Valley. “Law and order is entirely jurisdiction of the state governments,” Tarigami said, adding that there is no reason for Army to step in at this juncture. Legal experts told Greater Kashmir that maintenance of law and order is domain of the state governments as per the Constitution of India. Senior Supreme Court lawyer and former law Minister of the State Muzaffar Hussain Baig said as per the 7th Schedule of List One, entry 2A of Constitution of India, armed forces of the union can be called in for aid of the civil power, but prerogative to call them in such situations lies with the civilian authority. Baig said as per the Supreme Court judgment in Naga Peoples Forum for Human Rights versus Union of India, Army can be called in for maintaining law and order but they have to follow Standard Operating Procedure (SOP). 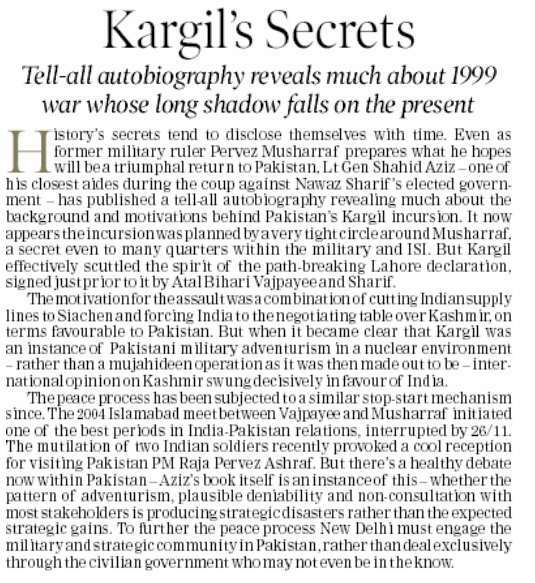 “As per the same judgment, exposure of Army to civil population for long time is bad because it can then create hatred for them which otherwise is a respected wing of government,” Baig added. Senior High Court lawyer Syed Riyaz Khawar said power to call in Army for assistance of civil administration vis-a- vis dealing with law and order problems lies with civilian authority. “Army cannot meddle with law and order problem without orders of the state government and their direct interference would amount to imposition of a kind of martial law,” he said. Since 2008, deployment of Army for law and order duties in the state has generated controversy and criticism. During 2008 Amarnath land row, Army staged flag marches in some areas of the state on directions of the government. In 2009, Union Ministry of Defence took strong exception to orders of district administration Baramulla wherein they were asked to work under the supervision of civil magistrates. The then DC Baramulla and incumbent Settlement Commissioner of the State Latief-u- Zaman Deva had directed them (Army) to carry patrol and flag marches in the town under the supervision of magistrates. On 7 July 2010, Army moved in Srinagar city after they were called in by Jammu and Kashmir Government following escalation of summer unrest. In September that year, Army came out openly to deal with protesters after devising joint strategy with police and CRPF. Companies must be offered more incentives if the Territorial Army is to shoulder an increased share of the burden of Britain’s defence needs, according to the new head of the TA. Under the Coalition’s defence review the TA is expected to increase from 19,000 fully trained members to 30,000 by 2018. At the same time the regular army will be reduced by 23 units from 102,000 soldiers to a total of 82,000. A White Paper in the spring will set out how the Government plans to use reservists to fill an increased role in the country’s defence needs. The TA is planning a major recruitment drive, Operation Fortify, to bolster its ranks as part of the new strategy. Small and medium companies have voiced concern over how they will be able to cope as the number of staff enlisting in the TA increases. Against this backdrop Major General Ranald Munro said the Government should do more to encourage employers to “do their bit” and hire army reservists. "What I want to see is the Government recognising that they have to set the conditions to allow soldiers to join the TA,” he said. "That means that employers allow them time to join and go on operations but also employers getting a benefit from it in terms of trained individuals, a recognition that they are doing their bit and maybe also financial incentives. "It means changing the perception in society but also changing the culture in society, in particular with employers, so they are more comfortable and understand the part they are playing in helping Britain generate its defence capability in a different way than we have done in the past. "So what I want to see is a strategic narrative from Government saying 'we recognise that we are doing defence differently and we need society and employers in particular to play their part in that'." Over the past decade the TA has deployed 25,000 people in Afghanistan, Iraq and Cyprus with 29 TA soldiers being killed in missions.